“Marketing is too important to be left to the marketing department,” once said David Packard, Hewlett-Packard, who worked hard to combine research and development with marketing, with the knowledge that marketing does not end with the marketing department. 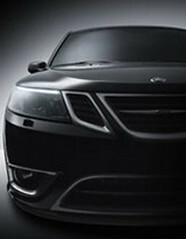 The concept, in part, was tied to an understanding of how marketing can help differentiate products in the marketplace. Specifically, when two companies enter a similar niche, message differentiation can mean the difference between winning and losing. Considering HP was founded with an initial investment of $538 in a garage and later became the first IT company to exceed $104 billion in sales two years ago, there might be something to that. Two job sites take aim at the $100k+ job niche. Today, in the recruiting industry, there are two companies attempting to differentiate themselves from other job search sites, but within the same niche: TheLadders and RiseSmart. Each is hoping to dominate a subscription-based job site niche that focuses on jobs starting at $100k. Based upon marketing messages, they seem to be operating from different sides of the same equation. Don’t let their similar identities fool you. Their communication suggests one is pursuing qualified employers whereas the other is pursuing qualified candidates in a race toward the middle. RiseSmart, which recently called TheLadders campaign elitist, is looking to cater to candidates by offering what they call a “RiseSmart Concierge” program that adds a human presence. The idea is to have someone help the candidate further narrow the job search beyond the algorithm. The human assist comes at a price. RiseSmart currently offers its services for $54.95 per month (or $43.95 with a new member discount; $109.95 for three months). TheLadders is offering candidates a subscription-based service for $30 per month (or $180 per year). The Ladders also has a free “limited access” to job listings feature, enticing employers with 2 million members. RiseSmart aggregates several other listing sites, enticing candidates with 1 million jobs. So who will win? First one to middle court. Author: Unknown | Posted at: 4:40 PM | Filed Under: consumer marketing, entertainment, Firefly, Veronica Mars, Warner Bros.
Social media continues to prove high tech communication is an effective means to communicate, organize, and establish a presence. However, one can never underestimate the impact of high touch over high tech. It’s tangible. It’s memorable. And it’s effective long after any online communication has faded from memory. John Sumser, The Recruiting Roadshow, and Doug Geinzer, Recruiting Nevada, demonstrated they understand the value of high touch communication as well, sending handwritten notes shortly after The Recruiting Roadshow was hosted in Las Vegas. The notes were polite, personal, and remain top of mind. Fans Add High Touch To Online Campaign. 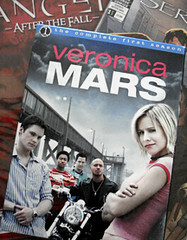 Yesterday, I received a package from the fans of Veronica Mars. It was somewhat unexpected, and appreciated. The reason I say “somewhat” was because Veronica Mars fans sent me a note last year asking if they could send me a gift for writing about them here and there. While I was flattered, I declined. It was my pleasure. And, old journalist habits die hard. A couple of days ago, however, Rachel Gerke, one of my original contacts with the Veronica Mars fans, asked if they could send me a “thank you.” Sure, I said. What I didn’t know was they were sending me the Veronica Mars First Season DVD. It is not a gift. It’s part of their “Loan It Forward” program. Veronica Mars fans convinced me several months ago to give their show a chance. I have, relying on Season 3 episodes that are easily downloaded from iTunes. It's a good show, no question. However, they sent Season 1 because they felt it better represents their passion. Season 1 and Season 2 are the primary reasons that fans, which saw their show cancelled last year, are campaigning for a movie. Perhaps even more than a movie, they are campaigning for community. The Neptune Rising forum remains a positive, well-organized fan-generated project with clear objectives. I’m not surprised; some ideas are inspired by Browncoats, fans of the series Firefly. One of several ideas the Veronica Mars fans have recently adopted is a cruise, which will depart from San Diego on Nov. 28. It includes stops in Cabo San Lucas and Ensenada. Tour sites may include Mars Investigations, The Neptune Grand, Camelot Motel, Dog Beach, and much more. In Europe, fans are also getting ready for a joint Veronica Mars — Prison Break convention this June 13-15 at the Thistle Hotel, Heathrow, London. It is there they hope to present fan scrapbooks to Kristen Bell and Jason Dhoring. Convention information can be found here. "We knew about the convention two months ago; they organize events for the fans of TV Series," says Sara Pillitu, who helps with the European Chapter of Neptune Rising. "This is a great chance to meet up with other fans, and maybe have them campaigning with us." The fans have also remained in contact with Veronica Mars creator Rob Thomas, who is currently working hard to become the busiest man in television. Thomas even has a downloadable original pilot script on this personal site. The “Loan It Forward” program and joint fan collaborations demonstrate a high touch element to online efforts. Enough so that if a well-read blogger hasn’t been introduced to Veronica Mars, I invite them to drop me an e-mail. I’ll be happy to send along the “Loan It Forward” set, er, as soon as I’m finished. The two Josh Whedon-inspired comics, Serenity 1 by Dark Horse and Angel #1 by IDW, on the other hand ... well, those will stay here. It was a very thoughtful gesture and they will always remind me of Veronica Mars fans at Neptune Rising. Thank you, though the pleasure has always been mine. I've already thought of a pay them forward too. I'll donate the value (but not the books, since I am both a Firefly and comic fan) to a non-profit, under the name "Veronica Mars." Be cool, Soda Pop. If there was ever a Linkedin question I wanted to answer but did not have time to answer, this was the one. Never mind the 3,567 people who did provide answers. The question came to mind again after I opened the Las Vegas Review-Journal today to read that Clark County School District (which includes Las Vegas) students who were tested in January on their grasp of first semester material in high school algebra and geometry did not hit the mark. The test results mirror some of the early results for writing proficiency on the other side of the country. In Vermont, only 37 percent of the students were proficient writers. Maybe the answer is simpler than expected. When Richard Feyman, winner of the Nobel Prize in physics, taught abroad, he made an observation that students in some countries were excellent testers. However, if he deviated even slightly from the memorized material, none of the students could produce an answer. All they had been taught, it seems, was memorization. It’s becoming the same here. Upon learning my son’s school stopped its educational curriculum to dedicate an entire month preparing for tests mandated by the federal government and tied to educational funding, I couldn’t help but wonder if our educational priorities have shifted to be the same. The school’s motivation was to produce test scores that resulted in more funding. Maybe it’s me, but I thought the priority was to educate students. Don’t get me wrong. The tests are fine, especially because they seem to be revealing a disconnect between what educators are teaching and what students are learning. The administrative priorities, on the other hand, are not. The more emphasis school administrators place on teaching students to rote memorize material rather than learning to apply it across a variety of circumstances and subjects, the faster the educational system will sink. So how can we encourage young people to pursue careers in science and technology? 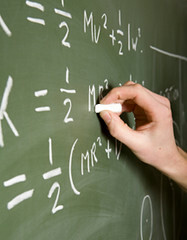 By teaching students to apply basic math skills like Algebra 1, Geometry, and Algebra 2 to equations that are interesting, applicable, and tied to practicality in the fields of science and technology as opposed to the rote memorization of formulas that most cannot connect to any real life application. It has always been that way. Homer Hickman, who was inspired by the first Sputnik launch to take up rocketry, learned advanced mathematics and physics not for a love of memorizing numbers, but because they were necessary. More educators are speaking to this fact, but the concepts of applied learning need to be introduced much earlier than college. Craig R. Barrett, the chairman of Intel, said the same. The same holds true for writing. Students who completed my Writing For Public Relations class noted the difference. While I would cover common mistakes on homework assignments over and over, most assignments were structured to reintroduce them to learning how to learn. Learning how to learn is the single most important skill set for public relations, because the best practitioners tend to learn about companies and industries they serve as opposed to simply counting phone numbers in a Rolodex. Truly, they must learn to work through problems as opposed to blindly applying rules like Michael Scott (Steve Carell) did during one of my favorite episodes of The Office. The same holds true in just about everything. It’s easy enough to find top ten tips to increase Web traffic, which storylines trigger brain activities, or allow the opinions of 25,000 viewers to dictate network programming. You don’t have to think to apply any of these solutions. Anyone can do it. Wasn’t that partially the fate of the Roman Empire? The society became so advanced that the population began to promote entertainment over education and popularity over production until one day, their laurels could no longer hold up to the weight of the luxurious lifestyle they inherited. Three years ago, I noted that the National Commission On Writing released a study that revealed 33 percent of employees do not meet the minimum writing requirements for the jobs they currently hold. Have we made any progress? We don’t really know. The next national study, which is confined to students in grades 4,8 and 12, will be released by the National Assessment of Educational Progress (NAEP) on April 3. There has already been some buzz about the testing in Vermont, which recently discovered only 37 percent of the students were proficient, according to the 2007 New England Common Assessment Program. The Burlington Free Press surmised that maybe the tests were too hard. Another ray of hope, the article deduced: If Vermont performed poorly, so did New Hampshire and Rhode Island. Amazing. With logical leaps like these, it seems more and more that the federal No Child Left Behind Act, which requires these tests, is revealing that our students are participating in every child left behind programs. It also makes even more sense why the administration recently wrote off the National Writing Project. And why state governments were estimated to spend about $250 million per year, attempting to improve writing skills among employees. All the above are among the reasons I recently volunteered to participate on the Third Annual “Why Communicate?” Panel hosted by the College of Southern Nevada, hosted by Tina D. Eliopulos, professor of English. 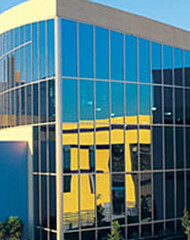 The panel presentation will take place at the Cheyenne Campus, room 247. Joining me on the panel are: Andrew Kiraly, journalist and managing editor of Las Vegas CityLife; Janice Marie, author of The Goodness Experience; Anne Schultz, special agent for Department of Justice Federal Bureau of Investigation; and Geoff Schumacher, director of community publications for Stephens Media. The intent of the panel to discuss the importance of effective communication — written and verbal — in the professional world. Well, 70 percent of all jobs in the United States require writing skills. That seems like a good reason. At what point does advertising stop being communication? An article in Adweek seems to beg the question as Eleftheria Parpis mentions that more agencies and companies are considering advances in neuroscience to be the final frontier in convincing consumers to buy products and politicians. 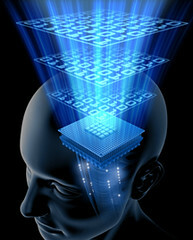 Neuroscience is amazing, especially as a tool in post-analysis research. It’s the reason we understand why Coca-Cola is a brand champ or why certain Super Bowl ads, despite what consumers said, outperformed others during the 2006 Super Bowl. The emphasis on neuroscience is because advertisers and marketers are noticing the steady decline of what was once considered the king of all advertising vehicles — the :30 television spot. As the entertainment industry moves toward on-demand programming with fewer interruptions, the best advertisers already know that gimmicks, tricks, gags, and heavy buys are no longer a formula for success. Even with a better understanding of consumer engagement on the unseen psychological level, smart advertisers admit: the more they know, the less they know. For example, even a neuroscience-backed advertisement doesn’t stand a chance when it’s fast-forwarded on TiVo. And, the successful Disney advertisement didn’t necessarily sell more vacation packages nor does it consider the decades of branding behind the single tested commercial. It also doesn’t consider the Heisenberg Uncertainty Principle. Simply put, the concept is that if you watch something, like an atom, it may respond differently because the observation influences behavior. Add it all up and while the work is important well beyond selling you a soft drink, it all points to one thing. Everybody wants assurances and, frankly, they just don’t exist. "When economic times get difficult, clients get nervous, and when they get nervous, they want guarantees," Jeffrey Blish, partner and chief strategic officer at Deutsch/LA, Marina del Rey, Calif, told Adweek. "There has always been an interest in trying to make your marketing efforts more bulletproof. It ebbs and flows depending on the business climate." He’s right, but it goes even deeper. Consumers want guarantees too. Not only do they want better products, but their expectations also change with engagement. It’s something advertisers might consider as they delve deeper into social media. As consumers strengthen their connection to advertisers, marketers, programs, and companies, the entire paradigm of how they see brands shifts in sometimes unexpected directions. Add in the idea that as consumers understand that they are being observed, they might behave differently. Or, in other words, sometimes what seems to be is not what is or will be. Social media is very much like that. "Without question, there are passionate viewers watching this program; we simply wish there were more," said Nina Tassler, president of CBS Entertainment. "We have no regrets bringing the show back for a second try." The statement, which is now circulating throughout the media, demonstrates that CBS has learned something since the first time it issued a cancellation announcement for Jericho last May. Engaged fans expect polished public relations. Her original statement last year demonstrates the difference. “ … that show would still be on the air if the audience was there. No programmer wants to p.i.s.s. off their audience. When that happens, it's unfortunate. Part of what we try to do is create viewer loyalty, and then build on that ... but we're running a business," she said then. Along with the original statement, Tassler and CBS are making a sellable case. Given that last fall, Jericho averaged 10.5 million viewers. After an elongated Spring break, which CBS admits was a mistake, it fell to 8.1 million. One year later, the ratings place at 6 million. The numbers, void of any mention of online viewership that CBS touts in other quarters, creates the illusion that maybe the fans didn’t pony up. “You’ve got to recruit more viewers,” Tassler had said, immediately following the decision that seven episodes were a small price to pay to stop the public relations hemorrhaging. In fact, low broadcast ratings have prompted more than one publication to place the blame squarely on fans. The most condescending of the which seems to belong to the article penned by Lisa de Moraes of The Washington Post. “In fact, while the Jericho Rangers are extremely good at buying peanuts, they proved completely inept at recruiting new Rangers,” she said. She can make the case, but is that accurate? Are fans to blame? Did consumer marketing and social media prove to be a bust? Partly, for circumstances that exist within the Jericho fan base (but not within the fan base of all cancelled shows), but not in the way de Moraes makes her case. If Jericho the fan base was inept, it was only because their indecision was nurtured by the network with mixed messages and a few fans who grossly misinterpreted them. Isolated Fandom. Some fans insisted (and still insist) that all efforts needed to stay close to the CBS site. Ask anyone engaged in social media and they will tell you: social media cannot exist in a vaccum. Ho hum. The “build it and they will come” concept only seems to work for ballparks in cornfields. It was offsite Jericho blogs, fan forums, Web sites, a few limited fan efforts within the quietest pockets on the CBS site, and face-to-face recruitment efforts that captured new viewers. Despite many of these offsite locales being under supported, discouraged, and targeted for banishment, they still managed to expand the network’s limited net presence. Before turning over the CBS Jericho blog to a fan, one employee did drop a hint, pointing fans here. Braveheart Revisited. Several times, a few willing and highly qualified fans seemed poised to take a leadership role. Unfortunately, they quickly found the same fate as William Wallace. Their own “countrymen” would periodically draw and quarter them for any criticism aimed at the network. Yes, in public. "If everyone is thinking alike, then somebody isn't thinking," the real Gen. George S. Patton once said. The same holds true here. Had the original campaign leaders been left in place, fans would have the direction they need today. Instead, some of the most active supporters are already saying goodbye. Instead, fans got fillers. Internal Sabotage. 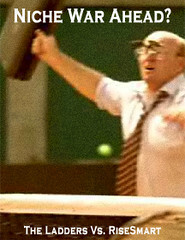 Whether it was intentional or unintentional doesn’t matter, but several fans had taken to periodically attack dissenters using a number of anonymous names to further their agenda. Worse, forum board dramas drove hundreds of old and new fans from CBS. The cause? Without any clear direction, unbelievable arguments over who came up with the idea to send nuts, who had more inroads with the network and production team, and whether the “who” of an idea meant it had had more merit than whether it was a good idea. You know, the kind of stuff that new viewers would take one look at and turn tail. Alas, for want of a crown, these misguided few lost a kingdom. But the misguided actions of a few still do not support the case presented by The Washington Post. The vast majority of fans sounded more like those I profiled on Feb. 9. While fans might have misplaced their faith in CBS, it was the lack of network communication that ensured the cancellation of the show a second time. • The timeslot was contrary to the demographics of the show, which included families. The 10 p.m. timeslot was just too lat for this show. • The network promoted Jericho on CBS, but that was the extent. While some promos had peak time slots, there simply are not many CBS shows that provide a clear crossover audience. The CW would have been different. • The second season public relations party brought the show back with a whisper. It was so quiet, even the media was amazed. Fans were left scratching their heads. • The network never considered that the public might not tune into a show with an insecure future. So, when it made a big deal about two endings being shot, the announcement hurt more than helped. • While they did not intend to leak the first three episodes, those episodes did leak. The significance? No one knows how many Nielsen families didn’t turn in after that. • An entire year went by before Jericho returned. For a long time, the fans had no idea when it might come back. If an extended mid-season break hurt viewership the first time, what could anyone expect a year later. • At one point there was some limited digital media stories as originally promised, but they never progressed in any tangible way. Any thought of CBS merchandising items, like Bailey’s Tavern glasses, was nonexistent. • The network’s half-action several times split the fans into two groups: those who believed CBS would support the show, and those who did not. Those who placed their faith in CBS won the argument, but those who lost were right. • The network did virtually nothing substantial to market the DVD. The little it did do, did nothing to attract new viewers. • The network had rebroadcast Jericho in an odd order over the summer, until pre-empting it with football. Football wasn’t the issue; the issue was it had thousands of Jericho fans asking people to tune into bumped programming. • The network provided online episodes and clips online, but without much marketing support for the varied platforms where it could be found. It got better, but in the end, those numbers didn’t count anyway except to market future online endeavors. • The network talked about a partnership that we warned would never exist. Several times they hinted at promotion, causing the fans to hold their breath, and then pulled back with nothing. And the list goes on, with many posts on this blog and elsewhere pointing out the hits and misses. Sure, CBS did some things right too. The fans even more so. So who is to blame? The network? The fans? Nielsen? The media? Everyone. No one. It doesn’t matter. Tuesday, March 25 is the last episode. It starts at 10 p.m. Case closed, sort of. While I’m not sure many of the fractured ideas being discussed by fans today will work, I am sure that some of these fans will develop a standalone fandom. Others will find new shows to fight for. And yet others are already moving on to focus on the bigger picture of ensuring the ratings system captures a better sampling (ideally, everyone). But there is something more important than that. I made a lot of great friends, both Jericho fans and even a couple folks on the network side. Perhaps not all of them, but many of these friendships will transcend tomorrow night. You see, Jericho Rangers are pretty great people when you get to know them. And I know for a fact that many of them don’t need one show to be great. They are great regardless. And much like no one can take away that these fans are responsible for the fastest cancellation reversal history or played a role in pushing television in a new direction, no one can take that away from them either. Good night and good luck. Mostly because network executives had taken to touting the online success of Jericho for several months, fans still seemed uncertain as the Nielsen-owned Hollywood Reporter broke the news today. CBS is canceling Jericho. The story was confirmed by E! Online. The ending chosen by CBS next Tuesday will wrap up the season's story line, closing what has been a yearlong challenge with plenty of trials and triumphs for the fan base that convinced CBS to give its show another chance. The outcome, as mentioned on Wednesday, seems to line up lock step with the five reasons being considered to let the show go. "'Jericho' is unique because the fans saved it — watching it on the Internet and streaming and iTunes downloads, all those things that are not being counted," The Hollywood Reporter cited executive producer Carol Barbee saying in a recent interview. "That's what 'Jericho' will be known for." She's right. Jericho fans have plenty to be proud of, especially their efforts in doing what most said could not be done — winning a short second season after it was cancelled the first time. While some rumors persist that Jericho may move elsewhere, it seems unlikely that a move would produce a show that resembles the original. Still, Jericho fans are not ready to give up. They are currently assessing what to do next. One thing they need to avoid, in my opinion, is campaigning other networks like fans of the The Black Donnellys (TBD) did last year. While the hearts of TBD fans were in the right place, campaigning to move a show from one network to another is a more daunting task, even more unlikely, and further fragments any campaign. If Jericho fans campaign for a move, any campaign needs to be aimed at CBS. I will give credit to CBS for not waiting until next Thursday to confirm the cancellation, though it might have been better to share the news with fans first. Doing so would have demonstrated that it is starting to understand social media. There is still more work to be done there. Obviously. Yesterday, Steve Rubel, author of Micro Persuasion, pointed to a pair of surveys that may be significant to public relations professionals. While both surveys include too few respondents to be considered an accurate measure on their own, they do mirror conversations I've read about the subjects. Does their public relations firm do a good job identifying the specific interest of individual bloggers and sending them relevant information? • Only 52 percent of the public relations professionals asked said yes. 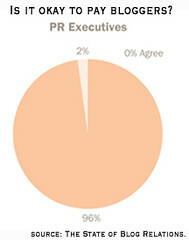 • Contrary, 65 percent of the bloggers asked the same question disagreed. The second survey, with the same participants, seems to mirror another discussion point that I’ve seen it come up from time to time: Paying for posts. It is okay to compensate bloggers for writing about my clients, but it is not up to me to tell them to disclose the payment. • Not one public relations professional thought it was okay to pay for posts. • Contrary, 48 percent of bloggers thought it was okay; 16 percent were neutral. What strikes me as odd about these survey results is that public relations practitioners who blog often take a stand against pay per posts, even with disclosure. Yet, some who maintain blogs write reviews about their clients. I don’t know; these questions have been asked for years. However, what I do know is that social media is being applied in some odd places and convincing some to draw odd conclusions. Also from Rubel, recently, was the addition of advertising social media feedback mechanisms on advertisements. Although many praised the post in the comments, I think it’s one of the most ridiculous ideas ever. Why? For two simple reasons. The CNET and AOL Network ad platforms allow non-customers to offer feedback on ads. Depending on the advertiser, this non-customer feedback may influence advertising that resonates with customers. That could lead to some dangerous conclusions. Have we so soon forgotten the lessons learned from Miller when it attempted to target microbrewery beer drinkers with ads aimed at them? Not only did non-customers NOT buy Miller, but the ads alienated Miller’s core blue collar consumer. The net outcome was a lot of awards for the advertising agency, and one of the best ad campaigns, not for Miller, which footed the bill, but for its rival Budweiser, which quickly captured the alienated Miller drinker. The measure of advertising seems much more simple to me. Did people click on the ad, visit the store, perhaps buy the product? And, if you are really curious how customers feel about your advertising, wouldn’t it be smarter to ask them as opposed to asking everyone, including people who are so outside of your demographic that it just doesn’t matter? You know, “because we can” doesn’t always measure up as the right answer. Misapplied research can cause more damage than it's worth. Skewing Young: Is Advertising Forgetting Audience? A recent BurstMedia survey reveals that advertisers, especially those trying to reach audiences online, might be missing the boat. The survey alludes to the idea that the majority of Internet users ages 45+ believe online content is focused on younger age segments. • Only about half of respondents, ages 35-44, believe Web sites are designed for them. 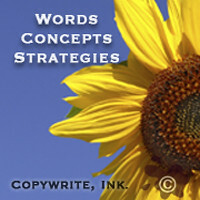 • Only 36.9 percent of respondents, ages 45-54, believe Web sites are designed for them. 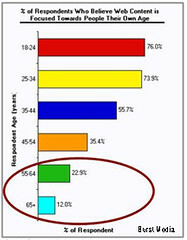 • Only 19.9 percent of respondents, ages 55+, believe Web sites are designed for them. Ya think? Advertising has been trending younger for some time now, online and off. Online it’s evident, mostly because of the mistaken notion that Internet users are all young. Sometimes its because designers are designing in a bubble, with little thought to their audience. Sometimes its because advertisers are skewing too much toward the medium with little or no thought of people. The reality is that everybody is online; More than 80 percent in the U.S.
One of the most recent polls conducted by Harris Interactive last Nov. estimated that 97 percent of Americans with a computer is online (hat tip: Gary Gerdemann Peritus Public Relations). In fact, when you compare the online population with the total population in the United States, the columns are proportionate, with the exception to those ages 65+. In addition, Internet usage has increased from seven hours per week in 2002 to more than 11 hours today. While prevailing social media theory tends to ask companies to bend their message for technology, the BurstMedia survey is a reminder that tools do not dictate messages. Brand relationships exist between the company and the consumer. Technology is only a means of delivery or engagement. Currently, 12 percent of the population is the 65+ group. By 2050, this age group will comprise 21 percent of the population, according to the U.S. Census Bureau. In addition, this demographic will be well versed in online technologies and usage, requiring designers to consider content organization and ease of use much more readily than they do today. It makes sense. Given the amount of demographic and psychographic information advertisers and marketers are pulling from the net, one would think they would apply it online ads. Or maybe not. We hear the same complaints about broadcast advertising and programming too. Waiting Games: Jericho Season 3? With no official word from CBS, fans of the cancelled, resuscitated, and now on the bubble show, Jericho, are taking no chances. 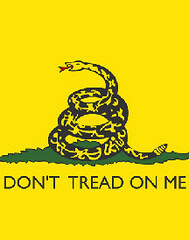 For several weeks, they have been writing letters and hoisting up banners of the “Don’t Tread On Me” flag that appears in one of the episodes of the second season. No more nuts yet. Many critics have warmed to the show, but maintain it’s unlikely to see a third season. Some are even campaigning for faith in the rating system and against renewal, despite saying they like it. The latter criticism came after Patrick Keane, vice president and chief marketing officer for CBS Interactive, speaking Monday at MediaPost's OMMA Global conference in Hollywood, used Jericho as an example of how online audiences can have a positive impact on a show, especially because online viewership doesn’t cannibalize the broadcast audience. The online video audience for one episode of Jericho boosted the show's TV ratings by almost a full point: from 4.2 to 5.1. 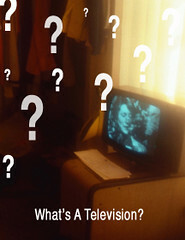 Even for those who have never seen the show, the significance is in that it represents the transition for television. As cross-convergence seems eminent, Jericho provides a glimpse into just how forward-thinking networks can be, if they want to be. • Fans are engaged, watching episodes and embedded ads over and over. • The online audience continues to grow, with ample consumer evangelists. • Even with less-than-stellar ratings, the rating are better than many other shows. • It’s a leading program among the network’s growing online inventory. • There were notable flaws in engaging the fan base that saved the show while CBS continues to get up to speed on how to best engage online fans. There is an opportunity to do it right with a third season. • The ratings are just not there; no matter how flawed the system. • The fan base did not meet Nina Tassler’s condition of more live viewers. • The fans were never able to develop solidarity or sustained buzz. • The network met its commitment to deliver a wrap-up with seven episodes. 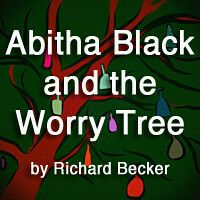 • There are too many financial limitations to give the show the budget it needs. Of course, there is also the possibility that network executives at CBS have secretly acquired a taste for nuts. But that is purely speculative. The real questions CBS might ask is what kind of network does it want to be. Is there an opportunity to take the lead position as an online content provider? Is Jericho the right show to help usher in a new era? And can it preserve this fan base to help lift up new original content in the future? Everything tells me that the network is split on the decision. Rumors suggest that CBS may be answering these questions as early as today. The clock is ticking and the worst thing the network could do is keep its decision a cliffhanger. Maybe part of the answer lies in non-traditional thinking: Jericho has helped boost other CBS and CW programs online and provided more brand recognition for the network than broadcast ever did on its own. Sometimes elected officials are only as good as their advisors. One wonders what Nevada Gov. Jim Gibbons’ advisors were thinking recently, allowing the governor to address the crisis surrounding the Endoscopy Center of Southern Nevada, almost a full month late, without the most basic facts, and without any sense of empathy for those affected. Instead, he came out against the media, criticizing them for their “buffoonery” in covering the health crisis caused by the Endoscopy Center and downplaying the roll of majority owner Dr. Dipak Desai, despite mounting public testimony that Desai and other doctors directed nurses to employ unsafe practices. John L. Smith, columnist for the Las Vegas Review-Journal, lists dozens of mistakes made by the governor today. Smith likens him to a clown, with a rubber nose and oversized bow tie. David McGrath Schwartz of the Las Vegas Sun called it a crisis response dance. Papers across the state have published similar reviews, likening the stunt to playing in traffic. It hardly matters that the governor regretted his words the next day. He might regret them even more. After several members of the Nevada State Board of Medical Examiners revealed ties to the Endoscopy Center of Southern Nevada and recused themselves from any investigation, Gibbons called for their resignations as well as that of the board’s executive director. Some publicly stated today that they have no intention of stepping down. Maybe they sense the obvious. But this post isn’t about the governor. It’s about communication. If the intent of the communication was to instill confidence in a health care system under fire, the better message needed to be about 180 degrees different. What could it have been? Here is a five-minute solution, painfully better than the one delivered over the weekend. • But above all, if you or a loved one is affected, it is important for you and your family to be tested. It’s the right and responsible thing to do. In addition, the state could have recognized several medical facilities that are offering educational seminars to help people who need to be tested. And, it could have urged Nevadans to give blood. Donations at United Blood Services’ five fixed sites have dropped 25 percent since the crisis began in early March. That is the message the state needed. Instead, the wrong message had the opposite impact. It has further shaken the citizens’ confidence in the center, in the health care system, and in the state. It didn’t have to be that way. 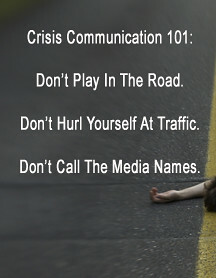 Crisis communication 101 suggests that you never adopt someone else’s crisis as your own. Or, in other words, no brand is so invincible that it belongs playing in the road against oncoming traffic while cursing at delivery boys when they drive by. You know, they don't ride bicycles anymore. Someone might get hurt. Proving A Recession: Bear Stearns? There are two kinds of people who have a higher propensity to get into car accidents. Those who never think they will and those who always think they will. Bear Stearns was driving too fast for its own good, lending over 30 times the value of its $11 billion in equity. There was bound to be an accident. The question being asked now is how many other firms were driving just as fast as this global investment banking, securities trading, and brokerage firm, founded in 1923. For those financial experts and media outlets that have been predicting a recession for more than two years, they say everybody. Maybe they are right. Some say it’s the accident that singles the market has already bottomed out. Regardless, the severity of the Bear Stearns sell off cannot be underestimated. Had it not been for JPMorgan Chase and the Federal Reserve Bank of New York stepping in late Friday with a financial rescue package followed by an announcement that JP Morgan would acquire Bear Stearns, some say it would have shaken the foundation of global financial markets. It also provides a hint at just how much of the economy is based on perception. JPMorgan is paying about $2 a share for a company with a book value of $84 a share, despite trading for as little as $30 per share at the close on March 14. Bear Stearns shares fell $26.32, or 87.7 percent, to $3.68 today. Last month, after a Reuters reporter asked Bernard Connolly, global strategist at Banque AIG in London, to hypothesize what the U.S. could do to stave off a “depression” as great as 1930s. Some people speculated that he was predicting another Great Depression because that’s how the story read. I didn’t see it that way. However, I did start to wonder. How much influence does media and social media have in creating a self-fulfilling prophecy, eg. if you yell fire in a room, people tend to react as if there is a fire, even when there is not a fire. So I asked the question online and off: To what degree is media/new media/communication influencing consumer confidence and possibly contributing to a recession? Most answers point in same direction. While the importance of consumer confidence varies from modest to extreme, it seems mainstream media may have less, not more, influence on the public. Perhaps that’s why two opposite answers both ring true at first blush. “The influence of the self-fulfilling prophecy is all-powerful, and is one of the most insidious dangers that we face as a media-driven society,” offered Richard Telofski, president of The Kahuna Content Company, Inc., who recently wrote about the importance of consumer trust during a recession. In truth, most discrepancies between media perception and economic reality are tied to definitions. Newspapers tend to define a recession as a decline in the Gross Domestic Product (GDP) for two or more consecutive quarters; whereas the National Bureau of Economic Research tends to define it as the time when business activity has peaked and begins to fall until it bottoms out. The difference is enormous, which is why it always appears as if the media calls for a recession long before most economists, and most economists seem to call it after the fact. But does it even matter? Yes and no. This time around, it seems obvious that the housing/mortgage market was a major catalyst for an economic slowdown, especially in cities where the new housing market plays a significant economic role. However, media coverage in some markets may have deepened the troubled. For example, as a resident of one of the worst housing markets in the country, with prices falling about 15 percent over the last 13 months, it’s easy enough to see some correlation. The reporting may have contributed to the speed that investment homes were quickly put up for sale, adding even more inventory to already overly-saturated market with a high disposition for non-performing subprime mortgages and overbuilt new home market. It was clearly not the cause, but added fuel to the fire, much like the sell off of Bear Stearns stock. Equally interesting from the answers I received was the suggestion that media has a predisposition for negative news whereas social media would be more inclined to report a truthful personal impact. Even if that were true, one wonders how much opinion can be trusted and by whom. Ask different people and you’ll always get different answers. According to the results of a Harris Interactive poll, consumer confidence seemed resistant to media predictions despite the crisis, depending on age, region, and household income. • People in the South are more optimistic (35%) while those in the East are least optimistic (24%). • People with a household income of more than $75k are more optimistic (46%) than those earning than $35k (34%). • People ages 18-43 (46-50%) are more optimistic than those 44+ (38%). These numbers do not overwhelming point to optimism on any level, but it’s interesting how different demographics respond to the same question. In addition, it seems more likely people will be able to find what they are looking for: there are ample experts who advise on opposite ends of the spectrum. For most companies, however, it makes little sense to launch preemptive scaling, wait it out, or hedge guesses against the growth. Those actions can create self-fulfilling prophecies when the fundamentally economic events occur, not unlike an accident. Sometimes practical experience is the best teacher. So for 15 minutes last night, practical experience served as the guide in my last class this session. Students in my Writing for Public Relations class were asked to walk 15 minutes in the shoes of a starting journalist. It only took two before their feet were sore and some eyes glazed over. Within a few seconds, the room filled with the sounds of a newsroom, fingers pounding keyboards. And then ten minutes in I tossed in an interruption. “I will if your news is better than some of these releases,” one student laughed. “We’re going to pop a balloon,” I said, a reference to Bruce Spotleson, group publisher for Greespun Media, who used balloon popping as an example of what press conferences are starting to become — sales events about nothing. 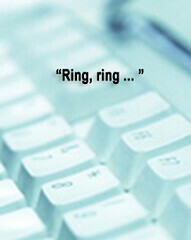 “I’d hang up,” someone else offered. “We’re on a deadline,” another offered. No one could believe how quickly the time whizzed by. And no one was really finished or satisfied with the releases. Their assessment of news releases suddenly wasn’t far off from my own: it would be nice if the releases contained news, had hard facts in the first paragraph, adhered to Associated Press Style rules, minimized typos (including company names), didn’t make them feel like they had to call to fact check everything, and didn’t come over in 6-point type (as one did) in order to conform to some silly “one page” rule. None of them wanted to do to someone else what I did to them — make their job harder under the pressure of a deadline. Sure, it’s not exactly like real life, but it is close enough to make a memorable point. Newspaper staff is shrinking and well-written releases with news sometimes help fill the gaps. Well, hopefully not that much. ”Hmmm… I wonder if social media releases will make it easier?" While some have high hopes that IABC can create real “standards," I had mixed feelings when I read the announcement from IABC that said they will take the lead (even though I am an active member). On one hand, it may help speed along the adoption rate — now, two years and counting — of a worthwhile communication tool. On the other, one wonders if it is really appropriate to step in after two years and proclaim a leadership role. I also hope, no matter what they do, they’ll put it to the end-user test like I did with news releases in class — ensuring journalists and others have the option to follow up, but don’t always have to follow up. Even more importantly, I wonder if most SMRs will really help journalists, bloggers, and stakeholders? Or will they become cool looking marketing sales sheets, written by the same folks who still haven't mastered the news release? I also wonder what needs to be done. Did they see this, which Geoff Livingston pointed to last year (it's good, despite some marketing heavy copy)? Or this, which I pointed to a few months before that? I hope so. It might dramatically shorten the development cycle. Rest assured though, one day I’ll probably pass out 10 social media releases to a class and ask them to walk in the shoes of someone else. Something tells me they will still get sore feet, regardless. Innovation doesn’t wait. It happens. As major networks consider how they are going to bridge the content gap between broadcast and the Internet, the Internet is coming to some televisions. TiVo Inc., largely responsible for the creation and popularization of digital video recorders (DVRs), will be adding direct access to YouTube videos via TiVo later this year. TiVo users will be able to search, browse, and watch videos on their television sets through their broadband connected TiVo DVRs. “TiVo’s strategy is to bridge the gap between Web video and television and make as much content available as possible for our subscribers,” Tara Maitra, vice president and general manager for content services for TiVo, told The New York Times. While this only represents single step toward convergence, there are some significant long-term outcomes. • Marketers who are already establishing a YouTube presence can direct prospects to clips on TiVo television, increasing the pressure on networks to retain engaged fans. • Amateur content creators will be able to expand their reach into a distribution platform that was once reserved for cable and broadcast channels. Well-produced content could find product placement and sponsors. • A major overhaul of the rating system needs to keep up with changes as YouTube content creators could feasibly demonstrate better analytics against Nielsen reliance. • Producers of network-cancelled shows may have an opportunity to consider going it alone if they believe strongly enough in their fan bases. The move completely bypasses the concept of embedded advertising needed by networks. The move is bold, but there will be a need to step up consumer accessibility. There are 4 million TiVo owners nationwide; only 800,000 have the necessary broadband connection. From TiVo’s perspective, it’s a smart move to stay viable as more cable distributors are offering DVR boxes as part of their services. TiVo’s other competitor in this space is Apple TV. However, there is more than one way to access television shows and movies from Apple iTunes and place it on the big screen. This cable will do it too. There isn’t much room to argue the direction of television. If YouTube can find its way onto television screens, then why not Hulu.com? Why not? That small step — and the ability to download Hulu content to other devices along with a better full screen picture quality — is all that is missing. Hmmm. Looks like convergence isn’t happening. It’s happened. All that’s left are the details. It will happen. That’s how innovation works. My wife owns a fake Rolex. She bought it for $20 in Mexico. It’s good enough that it even has a screw-backed case and automatic second hand. Yep, just like the real thing. 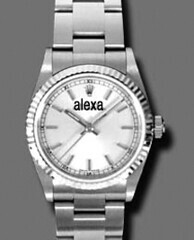 Some people are impressed that she owns a Rolex, never knowing it isn’t real until she laughs and tells them. Last time it needed a battery, the jeweler even had to take a second look. He said most people would never know; it was the best “Folex” he had seen. Alexa ranking is a little like that. People use it for all sorts of algorithms and bragging rights. But the thing is, Alexa rank, which they say measures popularity and traffic on the Internet, is becoming much more like a “Folex” than the real thing. For me, it took an EntreCard experiment to see what others have said for years. A few weeks ago, I placed an EntreCard ad banner, which is basically a blogger ad sharing network, on our Back Lot blog. The Back Lot blog is an experimental storefront blog that mostly helps non-profit organizations. The reason was simple enough. From time to time, I add widgets and other online tools to the Back Lot blog in order to gain a better understanding about how they work, especially to see if they might work for some some social media clients. Sometimes I add these widgets here too. Sometimes I do not. What struck me after a few weeks was not only the impact of EntreCard on the blog, but impact of EntreCard on Alexa. With EntreCard, the Back Lot blog eclipsed Copywrite, Ink. blog in terms of Alexa ranking. Specifically, it looks like the Back Lot blog receives almost three times the amount of traffic. However, I also know from multiple analytic programs that this is not the case. This blog averages about 300-500 visitors every day as opposed to Back Lot, which averages about 30-40 visitors every day. So what’s the difference? • There is high percentage of Alexa tool bar users on EntreCard. • Many Alexa tool bar users who read this blog subscribe to the feed. The net result is that this blog looks like it is losing traffic despite gaining traffic whereas the other blog is maintaining but looks like it is increasing. So yesterday, I thought I would add EntreCard to this blog and see what happens. I'll report on it in a few weeks. Of course, all this is not to say Alexa is bad; it has its place in the world and some people are really good about putting it to work for them. There plenty of people who have even written up twenty or so tips. Some of those tips work. Some of them aren’t really related to Alexa at all, but they might help gin up traffic anyway — that is, if you are looking for traffic. Not everyone places traffic high on the priority list. Some folks, like me, measure other outcomes. What really strikes me about all this is that I could make a lightly visited blog appear to have more traffic than a respectfully visited blog with 10-20 times more readers. Even more amazing to me is that some people know this, but still count Alexa as a measure of their success in between transparency posts, including comparisons to show how their blogs are gaining ground on other people. Please don’t get me wrong. Alexa can be useful for some measures, just not in the way some people use it, including multi-rank measures. Likewise, I’m not saying anyone who boasts about their Alexa rank is questionable. Rather, I liken it to wearing a fake Rolex. But unlike my wife, they never tell anyone. While some people still look to the rating system, others already see the future: one in four Internet users have watched a full-length show online in the last three months. These aren’t just young people: 39 percent were ages 18-34 and 25 percent were 35-54. Some people are surprised by these numbers, which are growing exponentially. All I can wonder is where have these ‘surprised’ folks been? There are reams of data that demonstrate everybody is online, with only those in the 65+ age group dropping off. Even then, half of those ages 65+ are online too. What that means is a show like The Office on NBC last September drew a broadcast audience of 9.7 million, but also streamed 2.7 million views on the Web. Twelve million viewers is enough to break into the top 20 shows. 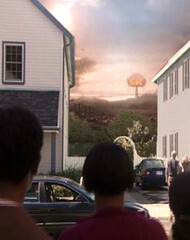 What that might mean for Jericho on CBS is third season survival. Jericho fans are not taking any chances. They’ve already launched a preemptive campaign to save Jericho again. This campaign started shortly after CBS released numbers that confirm the show plays impressively online: adding 1.5 million views on some episodes, according to CBS Interactive Research. This does not count all other data like DirectTV, iTunes, etc. And, those numbers are still growing. In fact, it is these kinds of numbers that are prompting networks to turn toward new media rather than away from it. Television and the Internet are closer than ever to total convergence. Yes, I do. You see, NBC Universal and Fox would not be testing their joint venture, Hulu.com, if it wasn’t true. Hulu opens to the public tomorrow with many live shows and limited commercial interruptions. CBS did the same thing with vintage programming like Star Trek online. Except in this case, the network has been doing an especially good job with its presentation while retaining its brand advantage by not spinning off its programming to another site. That’s smart. Very smart. Even better, convergence seems to have created solutions for its own monetization challenges. Smarter networks are seeing the natural development of a tiered system: You can pay for commercial-free programs via iTunes or watch the ad-embedded programs on a browser. It’s a win-win-win for everyone. Equally important, there seems to be no shortage of advertisers willing to buy time on live streaming video — an idea that naysayers said would never happen six months ago. Yet, there it is in living color: a show developed in 1966 has suddenly discovered renewed advertising revenue. Perhaps there is some irony that the success of the original Star Trek is largely based on the same reason Jericho scored its truncated second season: fans that were not on the Nielsen radar. So it seems, once again, that we might be asking the same question. Is the future of the television based solely on less than 2 percent of the viewing public? Or is there a better way? With a better budget that takes the cast and new characters of Jericho: Season 3 to different locations across their alternate universe, the show could potentially grow into another dedicated fan franchise success story. But that all depends on CBS. It can play the numbers two ways and come up with different answers. While I cannot speak for CBS, I know what my answer would be. Do what Star Trek did. 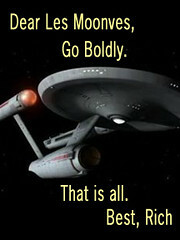 Go boldly. If the news release is dying, it’s because public relations is killing it. The vast majority of news releases being sent out today are nothing more than mass blast marketing-laced one sheets that attempt to decorate non-news as news, much in the same way someone might put silly hats and rubber noses on grumpy salespeople and call them the life of the party. It doesn’t really work. If anything, silly hats and rubber noses might just make them grumpier. At least that seems to be the underlying consensus of reporters, journalists, editors, and even public relations professionals who are discouraged by the growing spam factor associated with public relations today. After speaking with dozens of professionals online and off, it all points to one thing — it doesn’t matter what they are — releases, pitch calls, e-mail teasers, blast faxes, etc. — there is no silver bullet, except one. News that can be easily identified in the first sentence. 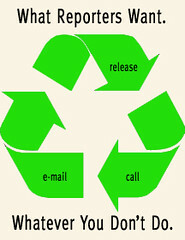 If you have real news, it hardly matters how you send it — by fax, e-mail, carrier pigeon, or on a roll of toilet paper. Why? Because, um, it’s news. Unfortunately, most companies do not release news at all. They tell their public relations firm to send out sales information, and the public relations firm sends it out. Once upon a time, a lead sentence sold the story. Now, the lead sentence sells nothing. Maybe it's not “news releases.” Maybe it's the people writing them. It just might be. And that's not the worst of it. Ever since I asked how public relations gets the word out, I've been hearing some pretty tall tales. I’ve been told public relations is anything and everything from leveraging relationships with reporters to having a super huge data base (and that it is a function of marketing). I’ve been told to never send releases and always send releases. I’ve been told that pitches work best by phone, by e-mail, and, my personal favorite, by casually dropping by the reporter’s desk after purchasing an advertisement. Egad! Has the profession gone batty? What do these people do? The seven deadly sins of the modern public relations professional as told to me by public relations professionals. Lust — Relationship Pandering If you’re leveraging relationships with journalists to pick up more accounts or trying to convince reporters to run non-news like it is news, then it's not a relationship. It’s manipulation. Greed — Client leveraging. If you’re leveraging one big client brand in order to secure smaller clients and then dovetail small client non-news onto big client real news, that’s not public relations. It’s greed, paid for by your big client. Gluttony — Pitching Stories. Spam is not the answer. Journalists are directing people to pitch stories to whatever communication stream seems less inundated. But mostly, journalists just want news that focuses on what they write about. If you don’t know what they write about, then don’t spam them. Sloth — Traditional Releases. Journalists are starting to prefer pitches over releases, but only because it’s easier to read two butchered sentences than several butchered paragraphs. Skip the fluff, stick to the facts, and if you're not willing to find news about your client or write something worth reading, then don’t write anything. Wrath — Social Media Releases. They have their place, but they are not the end all to “modern” public relations. Using them as some sort of revenge mechanism against mainstream media for not running all the non-news stories is inappropriate. The simple truth is that most social media releases are truncated traditional releases with links and even more marketing puff. Pride — Renaming Games. Everyone is renaming everything for the sake of sounding intelligent and it needs to stop. Seriously, just stop it. Renaming social media is out of control — social computing, new media, digital media, social networking, life streaming, buzz marketing, viral marketing, virtual branding, alternative media, Internet marketing, etc. — especially if the reason is to one up everyone with a new definition. Nobody cares who coined the term. Envy — Insatiable Illusions. If you are promising clients that a certain amount of releases will run every month, that column inches or hits mean anything, that news embargoes work long term, that mix and matching headlines can turn entertainment news into business news and vice versa, or that your client putting his pants on one leg at a time deserves a press conference because their competitor got lucky last week, you are no longer in public relations. You’re a trickster selling envy. What happened to performing work instead of working the performance? First and foremost, none of this seems related to public relations as much as media relations. Second, media relations, much like public relations, does not fit in tidy little boxes with check lists, no matter what accidental successes imply. 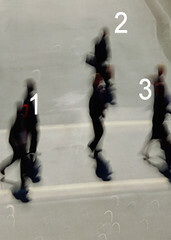 Third, like most communication, simple is better than complex. Find some real news within a company (it’s not always obvious) and communicate that news to journalists who would have a real interest. Let them know by whatever means they prefer: phone, e-mail, release, toilet paper, whatever. You may want to write a factual well-written release in case they need a backgrounder (which you can also distribute via the wire or on a Web site). If you want to claim it’s a social media release with links, etc., oh boy, knock yourself out. Do this a few times without wasting anyone’s time and you will likely develop some great relationships with the media built around trust and mutual respect. All that, without name-dropping who you had lunch with. Since the beginning, the Endoscopy Center of Southern Nevada, which is responsible for the largest hepatitis C scare in the history of the country, has communicated a message much like it ran its practice — by the numbers. We’re not really talking about numbers. We’re talking about people. Numbers don’t tell stories; people do. My longtime friend and colleague Keith Sheldon, for example, is not a number. He’s a person. He’s also one of the many who never learned he needed to be tested because of a letter. He learned, like thousands of other patients, through the media. It wasn’t until his wife started crying that his initial reaction, things like this happen to other people, didn’t apply. Sheldon was not only at risk, but had unknowingly put his wife at risk. And learning the center was notifying patients by letter and setting up a foundation was little consolation. It didn’t matter to Sheldon that he had to pay out of pocket for the test, despite promises that the center had already made arrangements with various health insurance providers. He needed answers … answers that still haven’t arrived. Because of the number of people being tested, most results will not be made readily available for seven to 10 days, which is next Monday or Tuesday at best. Recently, one doctor, who was employed at the center and asked the Las Vegas Review-Journal for anonymity because he fears "retaliation" from Dr. Desai (majority owner of the Endoscopy Center of Southern Nevada), said he left the clinic in 2000 — which places the start of the unsafe practices back to more than a decade — because he "was so depressed." He was reprimanded several times, the article says, because he was allegedly pressured to perform unnecessary biopsies, coupled with fabricated lengthy patient examinations, that could add more than $300 to a bill. "It was so unethical," he said. "I couldn't live with myself." As more stories surface, it seems to be that the entire practice was built on the concept of placing profits before people. By the account, it was always about playing the numbers: Reusing a single dose vial or the same syringe here and an extra biopsy there, well, it could help the clinic pay the bills. Sheldon, who also teaches public relations and assists companies in crisis communication situations, is also mortified by the lack of empathy or apology by the center. From a business, ethical, and public relations perspective, the clinic is doing a dismal job of handling this crisis, he said. I wholeheartedly agree. Anytime a company has surrendered all measure of professional efforts, there is nothing left to be done other than offer full disclosure, pledge full restitution, and permanently resign from the medical profession. These are not numbers; they are people — 40,000 people who are slowly learning through the media that they and their families — wives, husbands, sons, daughters — are at risk, one person at a time. And, worse, it seems more and more clear every day that the numbers like six people infected and 40,000 at minimal risk, are designed to diminish the impact of real people, are growing every day. Dr. Desai ran six number-crunching clinics in southern Nevada. And, it has already become clear that the first clinic only offered a truncated list with 40,000 patients. Many more patients need testing. For all of them, restitution seems obvious. • Direct and full compensation for all testing without any fees being passed on to insurance companies. • Free counseling for patients who are having challenges coping with the situation. • Compensation for the pain, suffering, and anguish caused to the thousands of people put in harm’s way. • The maximum amount paid out in medical malpractice to anyone who has to endure a shortened lifespan and risk of infecting loved ones as well as compensation to their families. • The pledge that none of the management team will ever work in the medical profession again. These are the only numbers we’re interested in reading about. As for the rest, it’s all about people. People you know and people who may never know if they are infected. When handling a crisis, always put people first. The answer, more than likely, would be no. But we can only assume that. Other than the one-page advertisement that claimed patients should still have trust in the clinic, Dr. Desai isn’t talking. 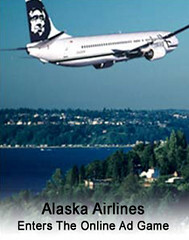 According to The New York Times, Alaska Airlines is introducing a system on the Internet to create unique advertisements for people as they surf the Web. Called retargeting by the industry, the ads will consider combined data (demographics and psychographics) from several sources to adjust the ads and ticket offers. The trade off, as always, is online privacy. What Direct Mail Has Always Known. Gern has a point. When as much as half of my time was dedicated to writing direct mail years ago, some companies would provide pretty pointed data about the people we were writing to — from the cars they drove to the magazines they read to where they preferred to take their summer vacations. With direct mail, it was not all that uncommon to present a second and third offer, increasing the opportunities for those who did not respond to the first, much like retargeting ads hope to do. Generally, all the information was complied by magazine publishers, past direct marketing campaigns, and other survey mechanisms, with participants agreeing to answer questions upon request or for an incentive. What tends to spook people about Internet data collection is that it is comprehensive, constant, and not always clear who sees the information (or what threat that information might pose). Privacy For Perks Is Today’s Bargaining Chip. But marketers and network developers have noticed something else. As Marston Gould, director of customer relationship management and online marketing for Alaska Airlines, alluded to in the article: When people know that they might see an advertisement promising a $200 ticket to Hawaii, the priority for privacy quickly drops. And it takes much less than an offer that good. In fact, for every story about consumer groups considering online privacy, there are an equal number of stories about consumers who are ready to make the trade. What seems to be is that as long as a marketer provides a clearly defined opt-in and opt-out feature (which is where Facebook faltered on the front end), people are ready to share anything and everything about themselves. Many of them already do. The basic concept behind many personal blogs, vlogs, and even network programming like Big Brother is sharing everything with everybody. In fact, tomorrow's consumers who are teens today, do not hesitate to share information about themselves. According to PEW/Internet study last year, they are surprisingly open. Teens are not alone. Their parents are happy to share information too. Most need a tiny incentive. I learned this last year after questioning tying GPS tracking to advertisements. Several people said GPS advertising went to far, until they learned it could help them find a little black dress, on sale, in their size. Data Accuracy Remains A Question Mark. 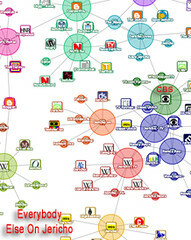 • The randomness of “discovery” Web surfing, popularized by networks like StumbleUpon and Digg. • The potential for savvy Web techs to game any retargeting ad structure, driving offers down so they might land the $200 Hawaii price. • The fact that people sometimes lie on surveys and contest entry forms. In fact, even when consumers tell the truth, it doesn’t always mean much. One visit to a “recommended for you” list on Amazon or iTunes might demonstrate how close or, er, far away online profiling really is. And, since that is the case, one might wonder the trading privacy for perks is really as effective as we pretend it might be.